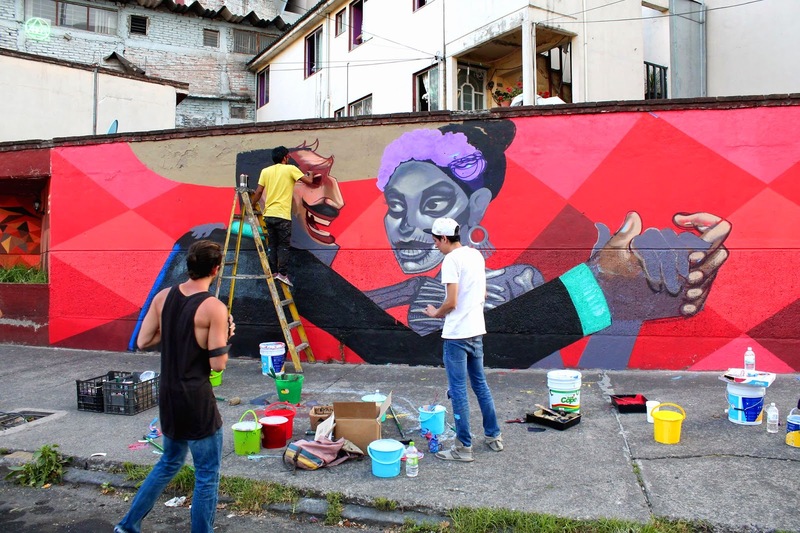 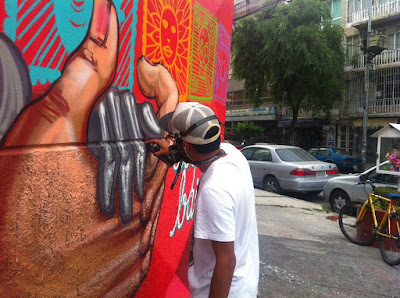 An outdoor painting for the Constructo Festival in Mexico City. 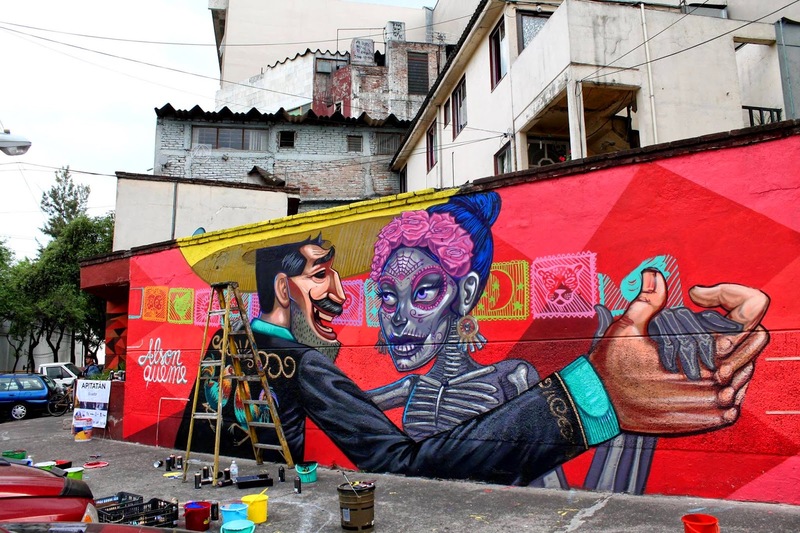 Apitatan is also part of the line-up for the Constructo Street Art Festival which took place on the streets of Mexico City. 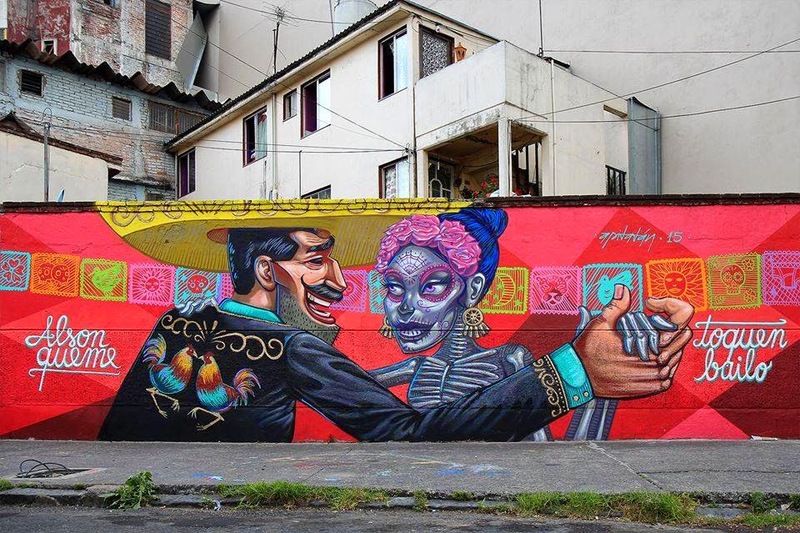 The Ecuadorian artist brought to life this illustrative piece which is clearly inspired by the local Mexican folklore. 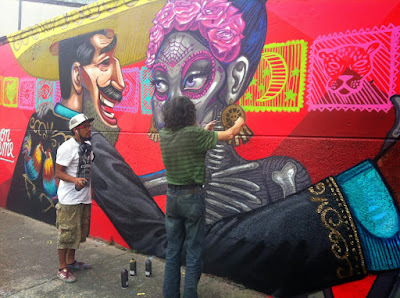 His style is usually characterized by the use of humorous Spanish phrases fitting with his fun style. 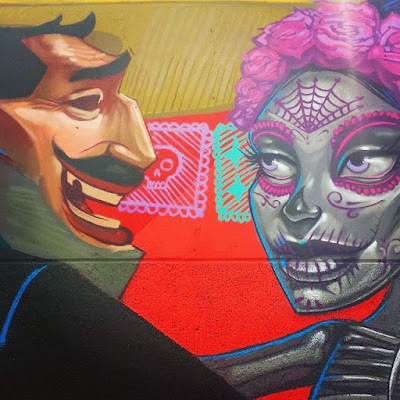 Hit the jump for a closer look at this groovy piece and if you stop by Mexico, you'll be able to find it on Dr. Carmona y Valle 153, esquina con Dr. Velasco.